District-level Nepal Map PHP API. 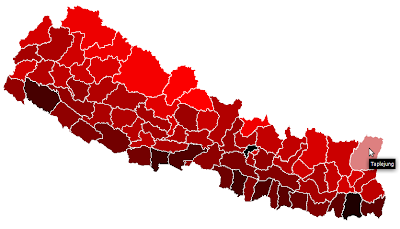 Generates variable-sized map of Nepal with user defined colors for districts. Thanx a lot to Jitendra for providing the GIS map of Nepal.